Now that our socket.io client tests are nice and isolated in our build file, we can have our build automatically start and stop the test server. We set up a simple socket.io server in our build script. 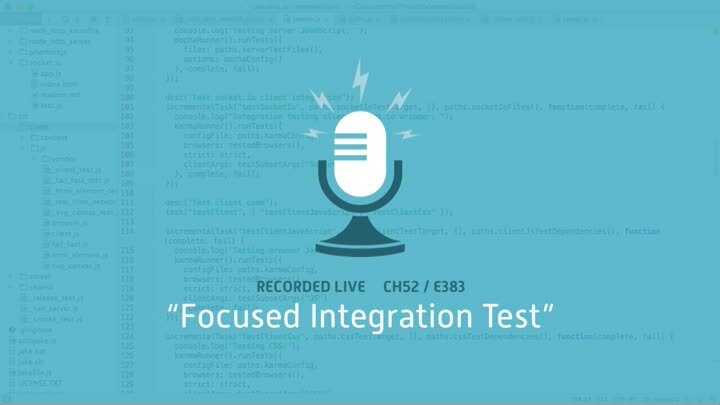 It takes a bit of trial and error to get it to work, but when it does, we have a complete focused integration test for our socket.io client.